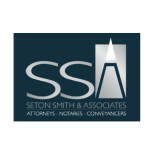 Seton Smith is a renowned law firm situated in Cape Town. Seton Smith and Associates based in Cape Town, is a law firm with a nationwide clientele of more than 400 business owners. The team of lawyers extends advice to business owners regarding matters of personal and business interests. They are focused practitioners who help in navigating legal issues that could otherwise hamper your business.